takes you into another world with ORA, a Levitation Wand act. Fusing mystic visuals and exciting gymnastics, ORA will surely wow your guests. Energetic, exciting and classy - CIRQUELS is set to liven up any show or event. Witness as Ehrlich “Firechill” Ocampo entertains with multiple hoops in this dynamic act. Perfect for weddings, STRINGS is sure to captivate the hearts of the audiences. Known for his gripping performances, Ehrlich “Firechill” Ocampo will be tugging on your heart strings. Ehrlich “Firechill” Ocampo is a unique performer who dances with various props of fire and light such as poi, staff, baton, hoop and his specialty – the “levitation wand”. The levitation wand is magical prop wherein the performer seems to dance with a floating stick. It is magical, mesmerizing and totally captivating – never before seen and an exciting addition to any show! He combines dance artistry, acrobatic movements, object manipulation and theatricality to create stunning performances for his audience. 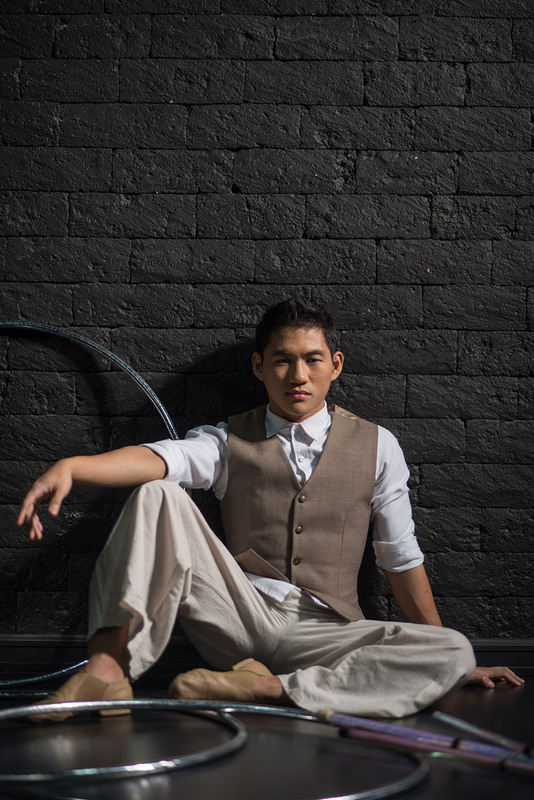 He has developed a style with the props that maximizes his body’s movements, making the prop an extension of his dance and improving overall impact. Ready to add fire, light and life to your events?